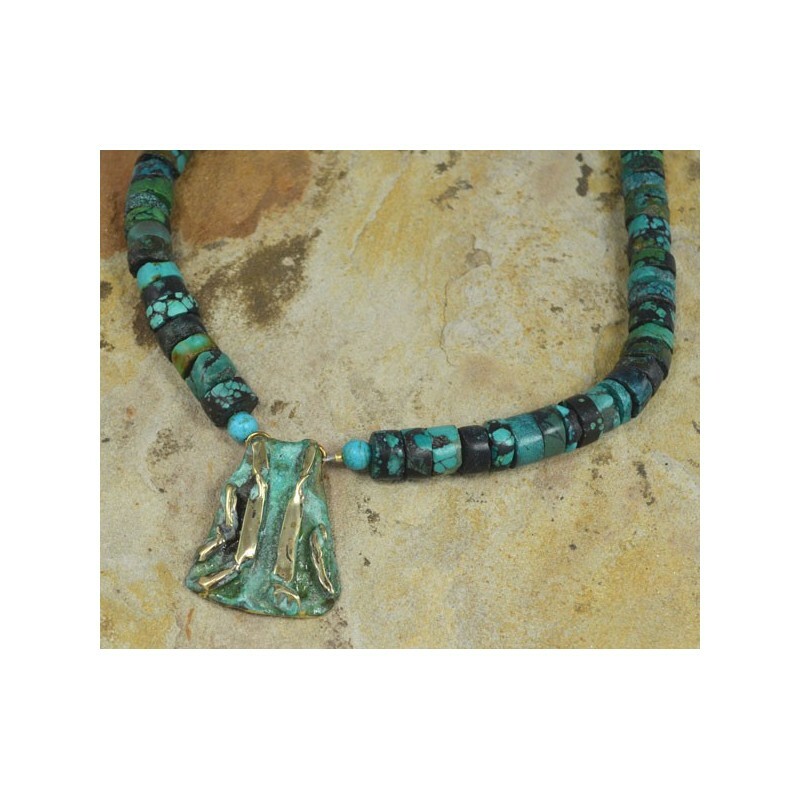 Ancestors Collection Necklace in Lost Wax Cast Solid Brass with a "twisted" motif in our signature Verdigris Patina with genuine Turquoise Rondelle Beading. 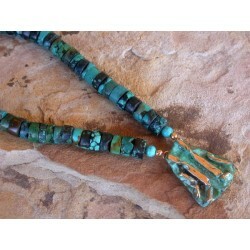 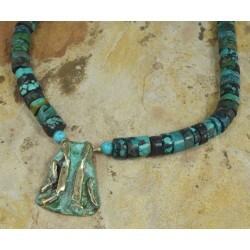 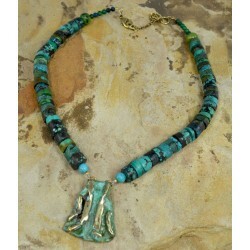 Length: 16"- 18" Turquoise Rondelle Beading. 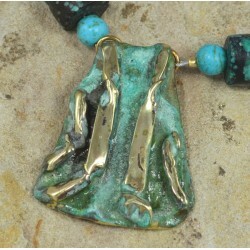 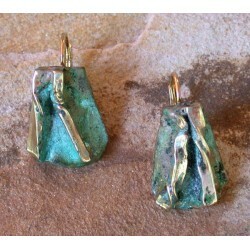 Pendant Measures: 1 1/4" x 1 3/8"